With Marvel celebrating its 80th anniversary this year, and to scratch my own history and research itches, every week I dig through a whole host of important dates and details for a special segment of TWIM called -- wait for it -- This Week in Marvel History! Important comics, storylines, character appearances and moments, real world releases and special Marvel milestones -- it’s all part of TWIMH! Here are just a few Marvel History notes for the week of March 22-28! 1977: Two Edgar Rice Burroughs characters come to life in Marvel Comics with TARZAN #1 and JOHN CARTER, WARLORD OF MARS #1! 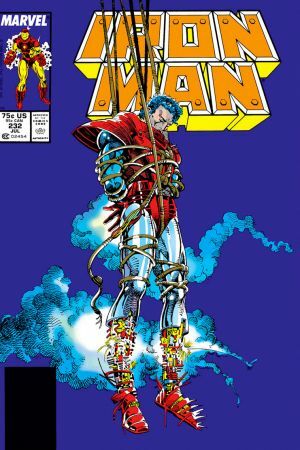 1988: IRON MAN #232 – the epilogue to the Armor Wars story, a big ‘80s epic for Iron Man drawn by Barry Windsor-Smith. It’s gorgeous and weird and trippy and worth a read even if you haven’t read Armor Wars! 1994: MARVELS #4, the final issue of the original series that’s celebrating its 25th anniversary. 1998: “Blade II” hits theaters! Directed by Guillermo del Toro and full of cool style and suckheads! 2011: Future Foundation gets its own book, more or less, with FF #1. It’s also a book looking at the aftermath of Johnny Storm’s death and seeing Spider-Man joining the team. 2004: CABLE & DEADPOOL #1 comes out. Pretty dang influential to all the current Deadpool and Cable love we have these days! 1975: Gamora makes her first appearance in STRANGE TALES #180. Delicious Jim Starlin cosmic weirdness! 1986: Arguably one of the best issues in comics ever – DAREDEVIL #232 by Frank Miller and David Mazuchelli. It features the first appearance of Nuke, and is essentially the end of “Born Again.” The narration by Ben Urich, both the script and the lettering, is incredible. The scene when the Avengers show up? Chills. 1998: Carol Danvers becomes Warbird in AVENGERS #4, and the team goes through big changes. 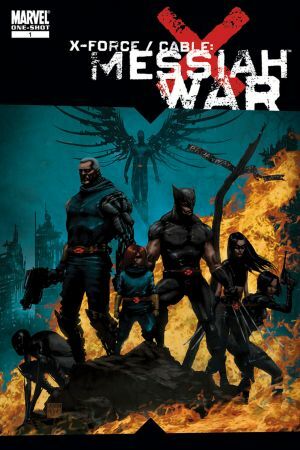 2009: The big Messiah War crossover kicks off this week in X-FORCE/CABLE: MESSIAH WAR #1. Cable and Hope and Stryfe and dope X-comics! 1985: Guido Carosella aka Strong Guy first appears in NEW MUTANTS #29. 1991: NEW WARRIORS #11 is published. This is a selfish addition as I LOVE this story. It’s the first part of “Forever Yesterday” by Fabian Nicieza and Mark Bagley, a really neat alternate universe story with Nova on a team that’s like the Avengers, but it sure ain’t. GREAT story! 2010: FANTASTIC FOUR #579 introduces the Future Foundation, a cool forward thinking aspect of the FF. We saw the foundation a bit at the beginning of the newest Fantastic Four series, and I hope we see them again soon! 2014: Robbie Reyes makes his first appearance and is the new Spirit of Vengeance in ALL-NEW GHOST RIDER #1 by Felipe Smith and Tradd Moore. GNARLY issue! And Dan Slott and Mike Allred kick off one of my favorite runs in comics with SILVER SURFER #1. 1960: Rawhide Kid returns in his first issue since May 1957, and it has Jack Kirby art on the cover and interiors! 1978: Marvel reintroduces ‘50s Atlas-era characters Marvel Boy, Venus, 3D Man, X-11 the Human Robot, and Gorilla Man to audiences that probably never knew them. This is a precursor to the Agents of Atlas team, story, and series that will show up more than 30 years later! 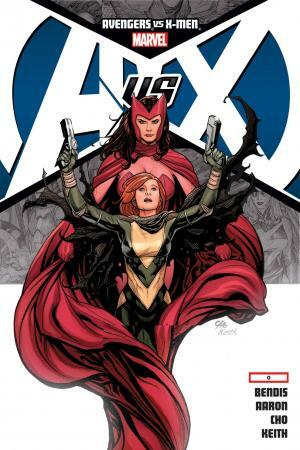 2012: The calm before the storm in AVENGERS VS X-MEN #0, a huge crossover event. 2018: DAREDEVIL #600 released! It’s the big climax to the “Mayor Fisk” arc. Great stuff. And “Marvel Strike Force” was first released on mobile. Can’t believe it’s been a year! I hope the This Week in Marvel alliance is still rockin’!